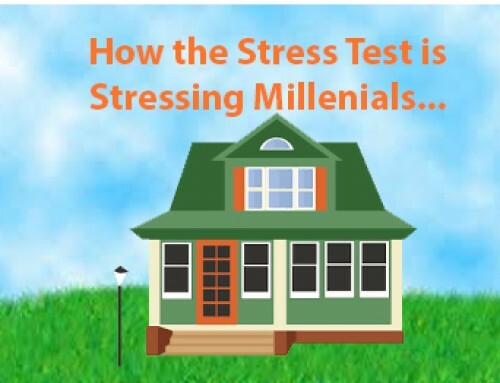 Many people I speak with have no idea what the stress test, how it affects them and what it does to their budget when house hunting. So, I decided to post this to ensure that people had the opportunity to understand it in layman terms. The stress test came into effect in 2018 for all homebuyers with 20% down payment and without 20% down payment (or CMHC insurable mortgages). Basically, ALL Canadians are now impacted by the stress test. Basically, the new mortgage rules will have a direct effect on how much home you can afford. You’ll have to prove that you could still make your monthly mortgage payments if interest rates were to rise in the future. This means less affordability or budget to work with depending on your income. The new stress test means that you’ll have to qualify for your mortgage using the “minimum qualifying rate” set out by the Bank of Canada. Banks and most lenders use this rate to determine how much mortgage they will qualify you for. The minimum qualifying rate is 5.34% (five-year benchmark from Bank of Canada) or 2% above the rate offered by your lender (whichever is higher) for those that have 20% or more to put down on a property. For those with less than 20% down, the qualifying rate is the five-year benchmark rate (5.34%) or the rate offered by your lender (whichever is higher). The goal of the stress test is to ensure that homebuyers are buying within their means. Gone are the days when you could buy a million dollar house with a $60,000 income. Now, you are going to have to accept a lower budget than you might have expected you would qualify for. For example: Let’s say you have a household income of $90,000 and made a down payment of 20%. Before the new rules, you may have been able to afford a maximum purchase price of $508,069 (based on a 2.99% rate). Now, because of the new stress test mortgage rules, you’ll have to qualify for a rate of 5.14%. This means you may only be able to afford a maximum purchase price of $393,716, which is 22.5% less than under the previous rules. 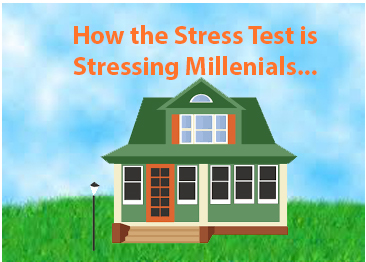 The stress test doesn’t have to stop you from pursuing the dream of owing your own home but it will temper expectations of what budget you will be able to shop in. Hope this has helped shed some light on the stress test topic and happy house hunting!